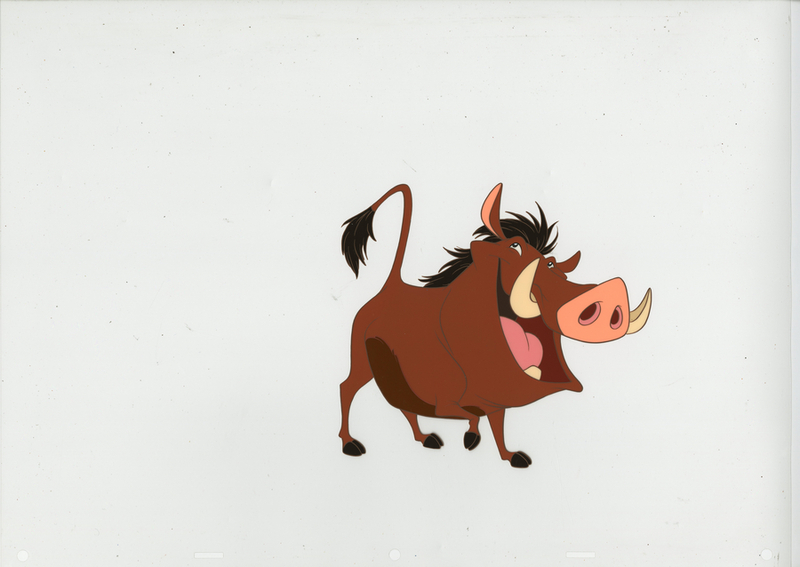 This is an original hand-painted cel from the Walt Disney Studios development of merchandise for The Lion King (1994). 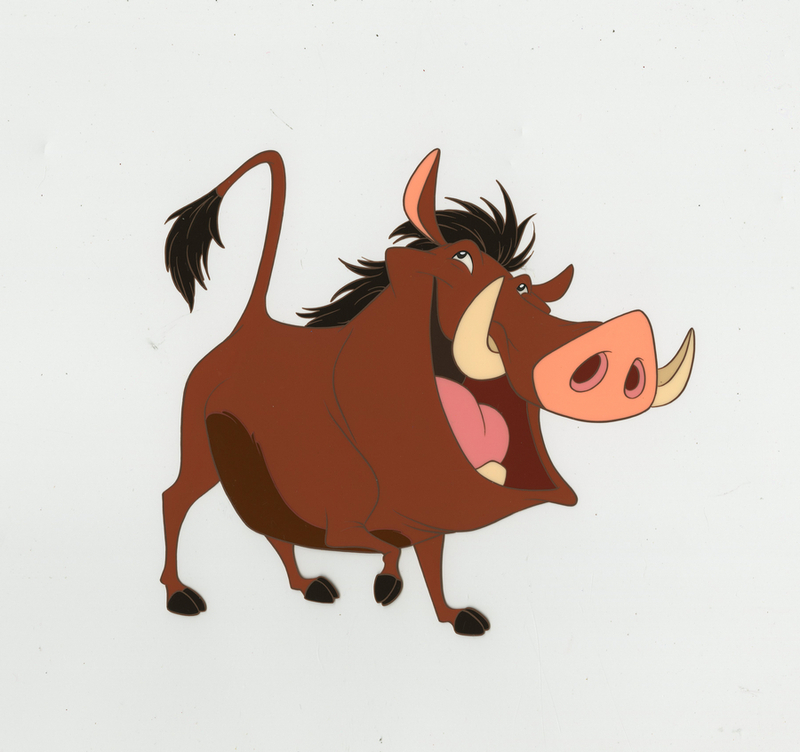 This cel features a comical image of the lovable Pumbaa, and was created at the studio, likely to develop an element of an image that would have been applied or printed to a ceramic plate, cup or other piece of printable merchandise. The overall measurements of the piece are 12.5" x 17" and the image itself measures 6" x 6.75". The cel is in excellent condition.